Edited by nshollingsworth, Wed Mar 23, 2016 10:25 AM. I first played Rolling Thunder on Namco Museum 50th Anniversary on the PS2 in November 2013. It was on a PS2 emulator. I played Juno First at Tilt at the Solomon Pond Mall in February 2014. It was on the 60-in-1 board. I first played the Mega Man arcade game on a multicade at a dentist office. This game has some fans but I'm sure not one of them. The graphics for the video game part of this pinball/video game hybrid are astoundingly substandard. Doing well at the pinball aspect gives you advantages in the video game section (prizes, greater tunnel speed, energizers). Bad idea, certainly NOT authorized by Namco. I'm pretty sure I first saw this at our usual arcade Malibu Gran Prix. It was nestled next to all the other games in the Pac-Family: Pac, Ms., Super, Plus. There were often doubles of the most popular Pac-games. I actually really love Baby Pac-Man. I remember seeing it at a play place type thing when it was new, kids could run around in certain areas and they also had lots of arcade games, because everyone did then. I haven't seen it much since then, Crabtowne USA has one but it was not working when I was there last year. I played Mappy on Namco Museum 50th Anniversary for the PS2 as a kid. I was 4 or 5. When I was 11, I played it on an emulator. I don't recall if I played this BITD. Timeline Arcade has one in their Hanover, PA location and I'm kinda addicted to it. Problem with this game is that it's a little on the hard side: if you screw up on the pinball portion you're screwed when you return to the video portion. Maybe it would've been better if they gave you two tries at pinball for each life - just close the exit to pinball that you used previously. Released in 1981, this was such an imaginative departure from Pac-Man in that the mazes were different and the bonuses would MOVE. Someone might have told the programmers, "What are you smoking? MOVING FRUITS??!!" But it was really a stroke of genius as not only did you have to often venture into harm's way to get the bonus (as in Pac-Man) but you had to CHASE the dang thing, as it sometimes seemed to be avoiding you! And the cutscenes this time told a bit of backstory to the protagonist. I first saw this puppy, I believe, in a cafe at the store (Fred Meyer) where my dad was a grocery manager back in the day. The cafe was called "Eve's Buffet" and it was kind of bleh. I'd meet him sometimes on his lunch break there and I passed by a cocktail of Ms. Pac-Man. If that wasn't the first time I saw it I do have recollections of seeing it at my dad's bowling alley on league nights in Milwaukie, OR back in the early '80s. I first played Mappy on the 5 game Mspacman joystick console thing. Interesting game, no doubt. Still have mine from when I was four years old. It had ms. pac-man, galaga, xevious, mappy, and pole position right? Odd game where you move your ship with a joystick and use a dial to rotate it in place. You shoot planets that grow in size and eventually have moons orbitting it. You must then shoot the moons, and then the planet. Comets also pose a threat. 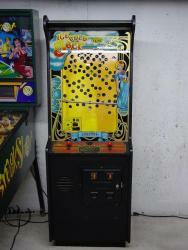 I saw this at a nickel arcade in NE Portland called "Wunderland". Odd game, but playable. At the time, the only Gottlieb titles I knew of were this, Krull, Q*bert and Reactor. Only place that I had ever heard of mad planets was on john's arcade reviews and tech. This weirdo 1981 Bally/Midway offering is a little similar to DIg Dug, which actually came out later! 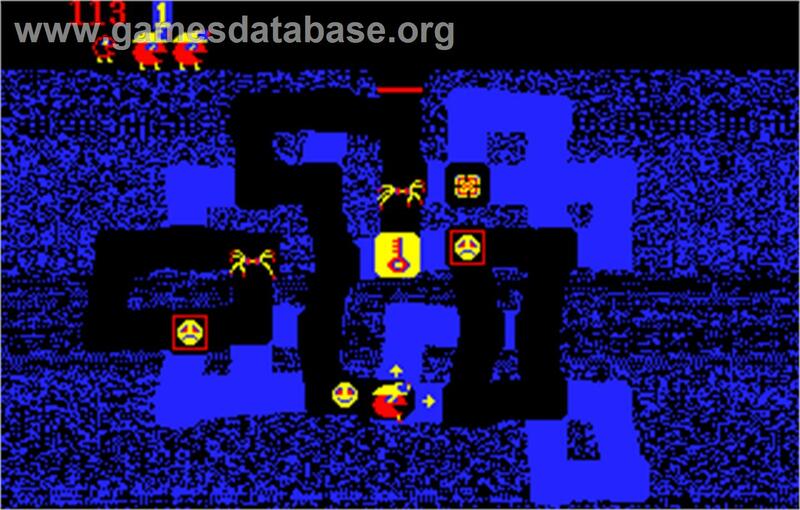 Tunnel through underground areas with a weird little red guy to collect keys and smiley-face hostages, while avoid spiders and other enemies that want to recapture the hostages. You can also collect treasures and magic spells that freeze the enemies for a spell, allowing you extra time to get the hostages and exit the maze. The more hostages and treasures collected get you a special multiplier bonus. Hyper Bally/Midway sound effects typical from B/M's early 80s efforts. I first saw this at Malibu Gran Prix when it was brand-spanking new. Mr. Roto was a weird-looking character who had rotating legs spinning about as he'd dig through the dirt. Just a weirdo game overall. 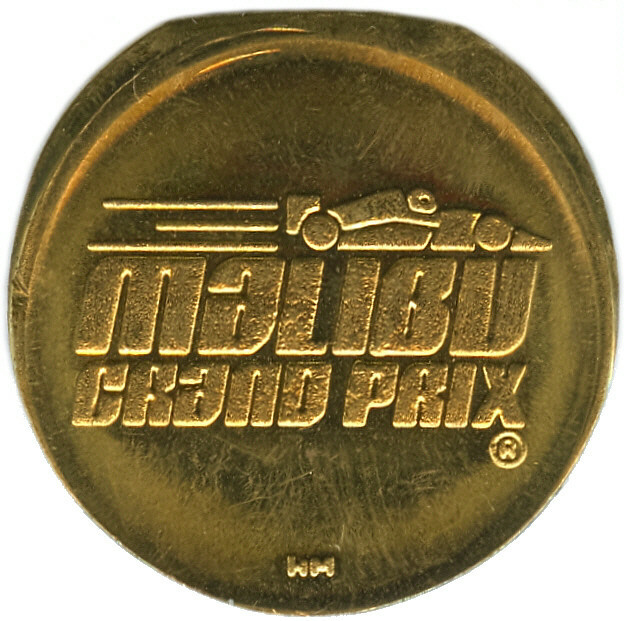 Malibu Gran Prix was such a blast back in the day.. Road Runner car race track for kids (I got a "Road Runner license" card), arcade machines indoors, snack bar upstairs (and a single cab up there for the newest machine), and still pinball machines and a foosball table. The place was very well-kept and clean. You got tokens, but only 4 for a dollar. Mad Planets was great. 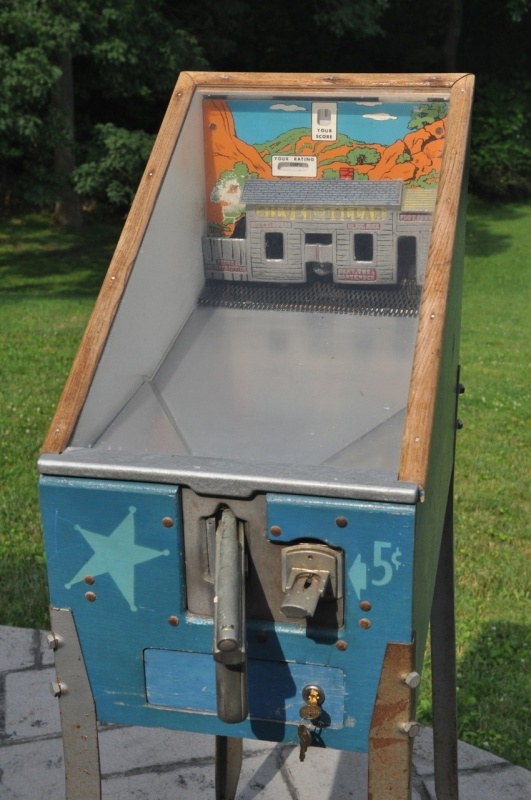 I played it a little bit as a kid, sometime in the mid-1980s (I think they had a machine at my sister's college in Massachusetts? ), and a lot in MAME in the early 2000s. Anyone remember this one? 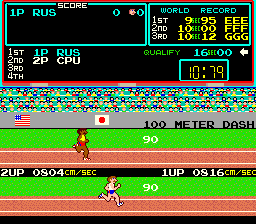 TRACK & FIELD from Konami, 1983 - outside of the USA, this was called "Hyper Olympics". Exactly what it says on the tin - you competed against the computer or a live opponent in a number of events. There were six events in all: 100 meter dash, long jump, javelin, 110 meter hurdles, hammer throw, and the high jump. You had to qualify for each event (read: win each event) before moving onto the next one. 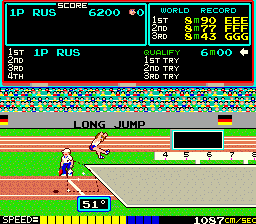 Early versions of the game had run buttons and an action button for jumping/throwing. Later versions of the game replaced the run buttons with a trackball. I remember this one for sure. I actually ran across the early version (minus the trackball) at a bar in Italy. The later one with trackball I played at an arcade in Eden, North Carolina at a local mall arcade. Anyone else play this? 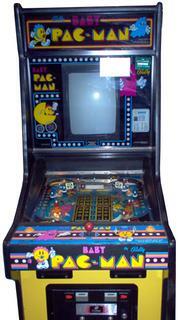 first saw it in the disneyland arcade in Anaheim california. Sadly, that arcade is closed now. Who hasn't heard of Puzzle Bobble? I've played that in a few arcades. Here's an even older one, the 1950 US Marshall by A. B. T. manufacturing company. You held a pistol and shot steel marbles (like in ice cold beer) at targets. First saw this in woody's bar and grill in goleta CA. Not there anymore. And speaking of which, what about 1983 Ice cold beer by Taito? 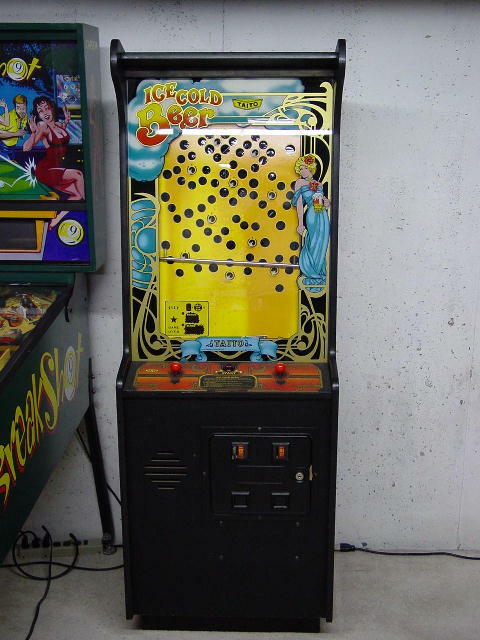 You control a bar with two up/down joysticks that has a marble on it and try to get the marble in to the correct hole. I saw that at Yestercades last Sunday. same, Mappy was a game I first played using emulation. I saw the cab at Funspot when I was 10.